Whether your child is still learning to walk and mobilize their toddler tools, or moving deftly toward college age, you should be saving for college. Here are some things to consider to start saving for college properly. College costs continue to increase unabated. When current Baby Boomers went to college, “expensive” tuition was around $2,000 to $3,000 per semester. This level applied only to more prestigious schools, like Harvard College, Boston College, and Stanford University. Today, in most cases, you merely need to add another “0” to estimate tuition. college savings options include savings accounts, CDs, investment accounts, mutual funds, annuities, and U.S. Savings Bonds. Newer college planning choices include 529 plans and Coverdell education savings accounts. The Gerber Life College Plan is another excellent option. It provides a “guaranteed benefit payment” for children expected to begin college in 10 to 20 years. Your current and projected financial condition. The recession of 2007 to 2009 taught us multiple lessons about financial uncertainty. Many who believed their jobs and finances were stable and secure received unpleasant surprises. We also learned that even the largest university endowment funds, from which most scholarship money comes, can be decimated by a down economy. Until—and unless—these funds recover strongly, millions of scholarship dollars will remain unavailable. If you’re purchasing life insurance for the first time, selecting a life insurance company can be a confusing process. 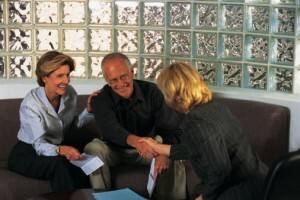 Here are three things to look for in a life insurance company. If a company doesn’t offer the type of life insurance coverage you’re looking for—whether that’s a whole life insurance plan or affordable term life insurance—you’ll want to look elsewhere. Search life insurance company websites or call a representative to find out if a company has a policy to fit your needs. A life insurance policy is a long-term investment. You want to be sure your money is safe, and that your life insurance company will cash in your policy under the agreed-upon terms. Check Better Business Bureau ratings and look for a company with a long-standing, solid reputation. You shouldn’t shop for life insurance based on cost alone, but it can be an important deciding factor. Make sure the life insurance company you select offers fair rates for the amount of coverage you need. Learning to adopt a daily recycle habit is easier than many other beneficial behaviors. Compared to quitting smoking, becoming a thoroughly positive person, or going back to college after years away from school, helping to create a healthy environment is a walk in the park. You may have heard that new habits can be formed in as little as 10 to 14 days. Everyday conservation and recycling can fit into this fast and easy time frame. These few tips will make it even easier and successful. Get everyone involved. If you have a spouse and/or family, get them all involved, even small children. After a short period, everyone in your household will be consistent recyclers. Locate a good area for recycle bins. While you needn’t prominently display your recycle bins, put them in a convenient place to promote the recycling habit and make it convenient to regularly (daily is good) deposit your goodies. Learn to identify types of plastic (marked on bottom of containers). Many plastic products are recyclable, but some are not. Plastic containers come with their “code” number at or near the bottom. Learn which are recycling candidates and which are not. If possible, reuse those that cannot be recycled. Do it daily. Like most habits, daily recycle activities must be practiced. Urge all family members to perform their particular recycling task daily. This keeps your home neat and hastens recycle habit development. Recycle newspapers, magazines, and junk mail. These items can all be recycled, but keep them dry whenever possible. Newsprint and ink can degrade and “run” when wet. Even newspaper stock can break down when saturated. If possible, tie up these items with a piece of biodegradable string for easy handling. To further a healthy environment, opt out of receiving junk mail (opt-out.cdt.org), which reduces your paper recycle volume, saves trees, and requires less fuel to transport your donations to the dump or recycling collection station. Mother’s Day is all about family, so get the family together and make it a relaxing and memorable day for everyone. Throw a Mother’s Day party to celebrate all the mothers in your family. You may also wish to invite your friends and their mothers. Ask everyone to bring their own dish – their mom’s favorite. When it’s time to eat and everybody is sitting down, have each person say what makes her or his mom so wonderful. During your party, divide people into mother/child teams. Have the mothers leave the room while the children remain seated. Ask each child the same four or five questions about her or his mother, and have them write down the answers. Next, switch places – send the children out the room while the mothers answer the same questions about themselves. Get everyone back together and share the answers, to see how well the teams did. The team with the most matching answers wins! Step 1. Have your child trace back your family’s roots as far as he or she can. Step 2. Then, have your child interview the living mothers, asking them questions about what motherhood is like and what’s great about that person’s family. Step 3. On a sheet of colored construction paper, have your child draw a tree leaf about the size of a hand – one leaf for each mother – and then cut out all the leaves, using children’s scissors. Next, have your child write the name of a mother on a leaf, along with a sentence summarizing that person’s mothering experience. Next, make a hole in each leaf, pull a 6-inch piece of string through each hole, and tie a loop at the top of the leaf. Step 4. Invite your child to make a tree on construction paper or decorate a small tree in your yard or home with all of the handmade leaves. Valentine’s Day is steeped in customs and traditions, some dating back to England during Chaucer’s day. In England, for instance, it was believed to be a bad omen for young women if they tracked snow into the house before February 14. This would apparently make it unlikely for them to meet their valentine any time soon. Hospitals and nursing homes. Give your children a variety of paper, foam sheets, glitter, glue, crayons, colored markers and stickers to create handmade Valentine’s Day cards or crafts for people in nursing homes or hospitals. Your family can go together to deliver the cards and crafts, after getting the “okay” to do so from the facility. Neighbors. Create a “love bucket” filled with special treats such as candy or cookies to give to a neighbor, and then invite the neighbor to continue the tradition. In the days leading up to Valentine’s Day, each family member secretly does something nice every day for his or her “Secret Valentine,” without revealing who they are. For example, make your Valentine’s bed while they’re showering, do their chores while they’re away from the house, hide secret notes under their pillow, tuck surprise presents in a pocket or lunchbox or shoe. At a special Valentine’s meal, everyone reveals his or her identity. Each year, write a “love letter” to each child, saying how much you love and appreciate him or her. Drop the letter into the mail a few days before Valentine’s Day. Save the letter after your child has read it. When your child is older, return all the “love letters” you have saved. Your child can carry on the tradition by writing (or dictating) their own love letters to their siblings and parents. Valentine’s Day is the perfect day to create wonderful new memories for the family. Get together, get creative and get started!